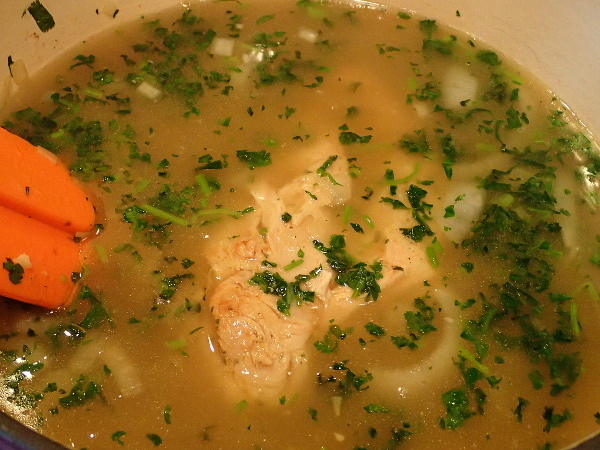 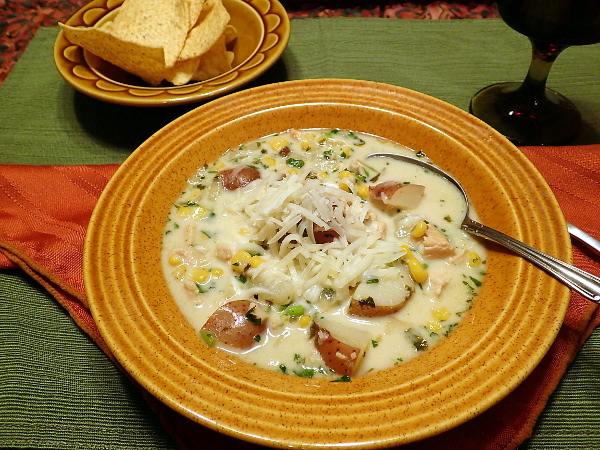 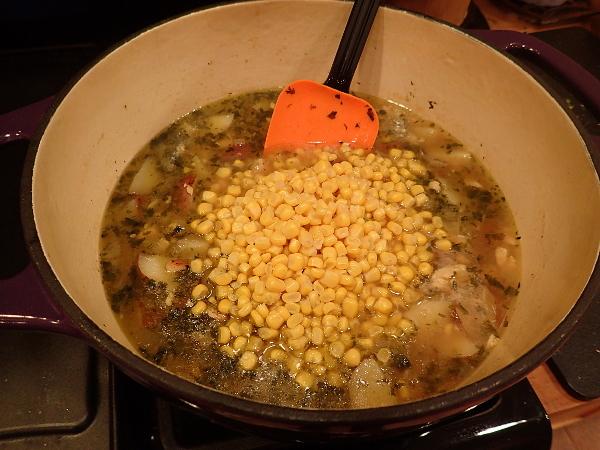 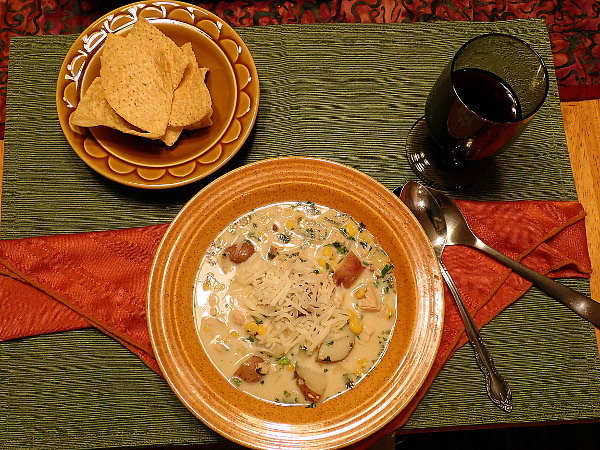 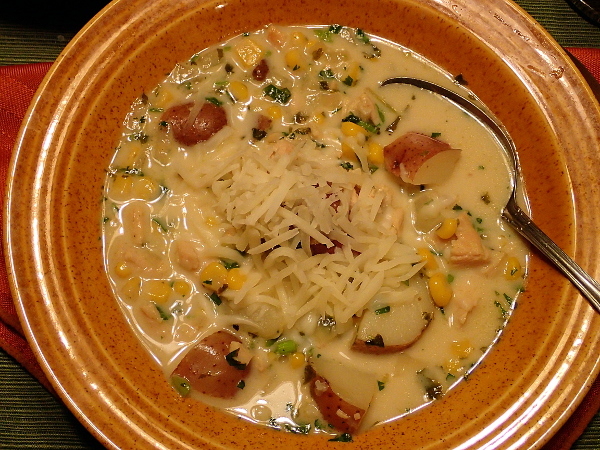 Known as Chupe Criollo (Creole Soup) in Venezuela, this soup is really a chowder in disguise featuring chicken, cheese, corn, potatoes and one of my favorite herbs – cilantro. 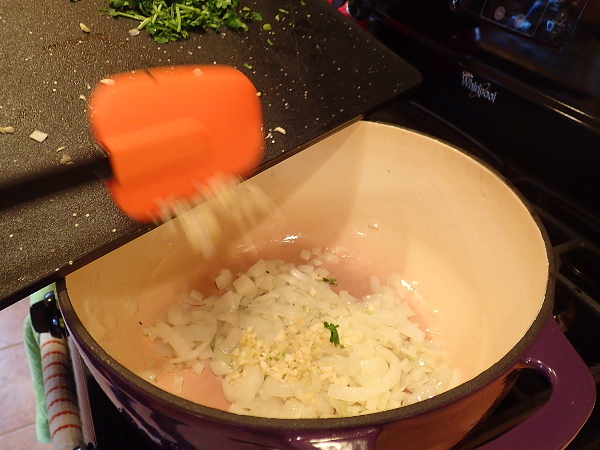 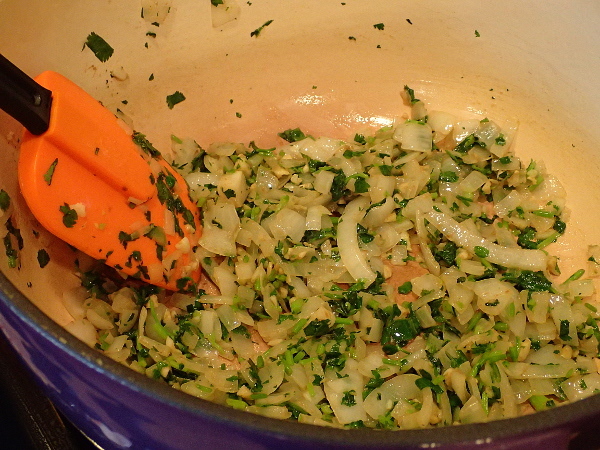 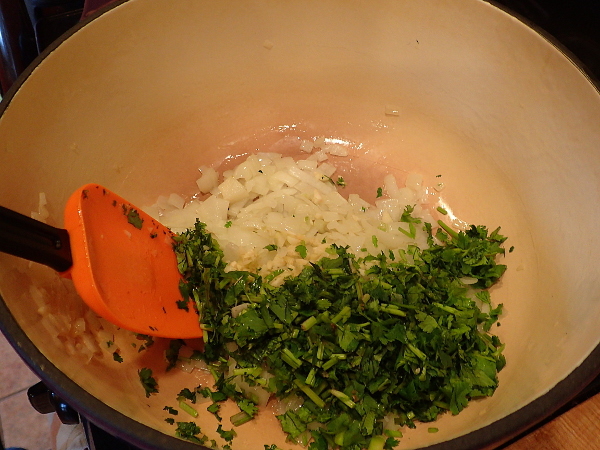 In fact, the recipe calls for an entire bunch of cilantro! 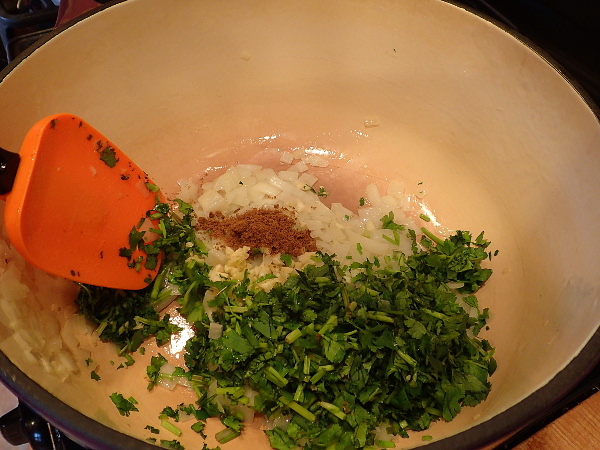 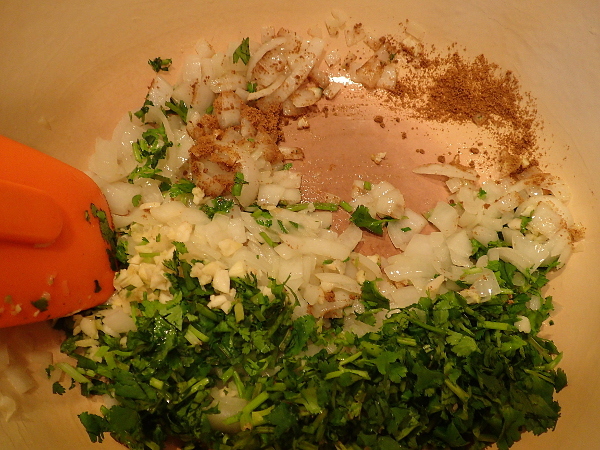 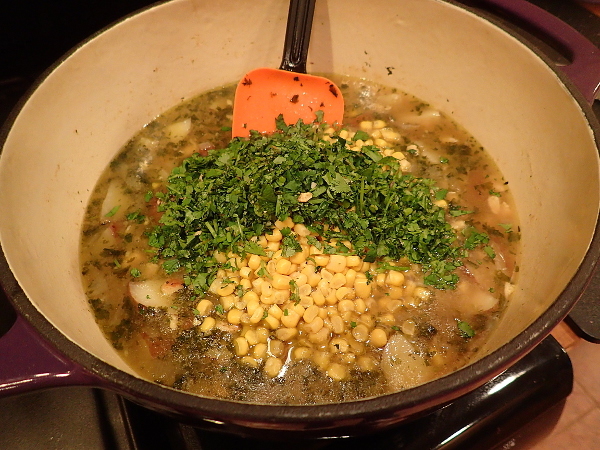 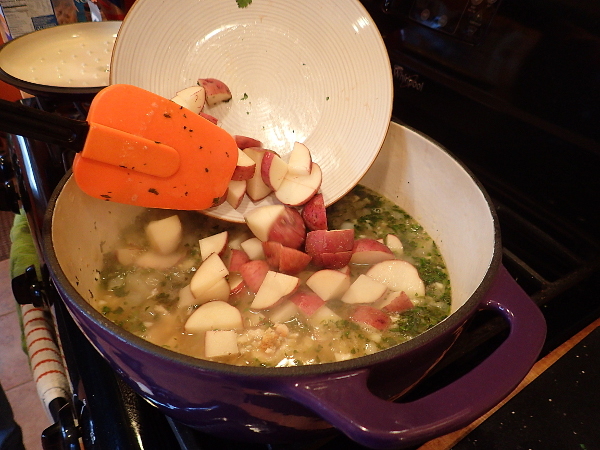 Whereas cilantro is often used to finish a dish, here part of it is tossed in near the beginning to infuse the broth while the rest is added before serving to give it a final fresh herby punch. 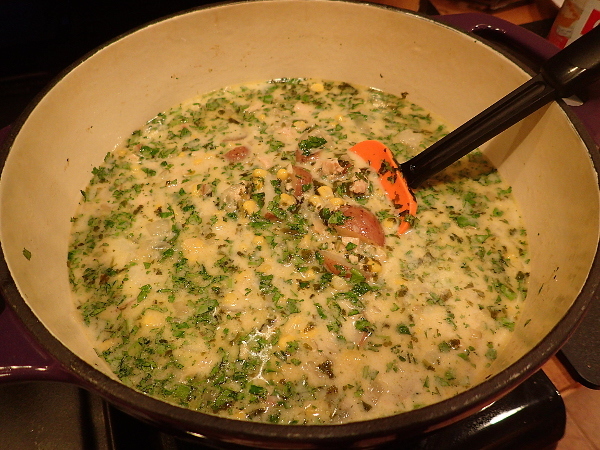 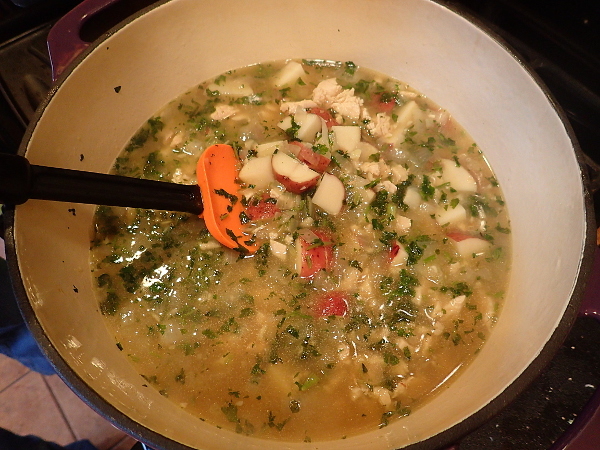 Since this is a chicken-and-cheese soup, traditionally you would dump in 4 to 6 ounces of cheese and let it dissolve into the soup shortly before serving. 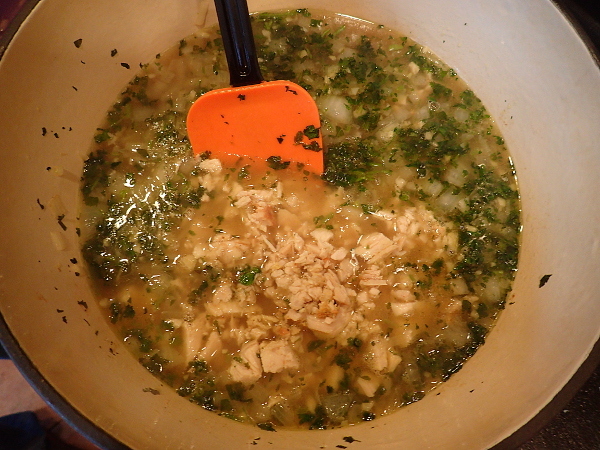 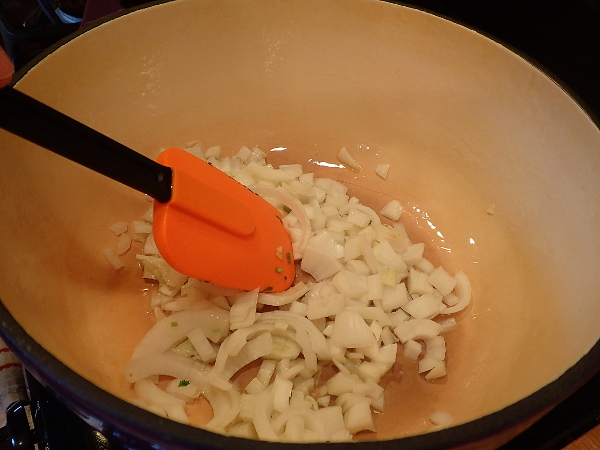 However, other recipes for Chupe Criollo advised against adding a bunch of cheese to the soup unless the entire pot will be eaten the same day it is cooked. 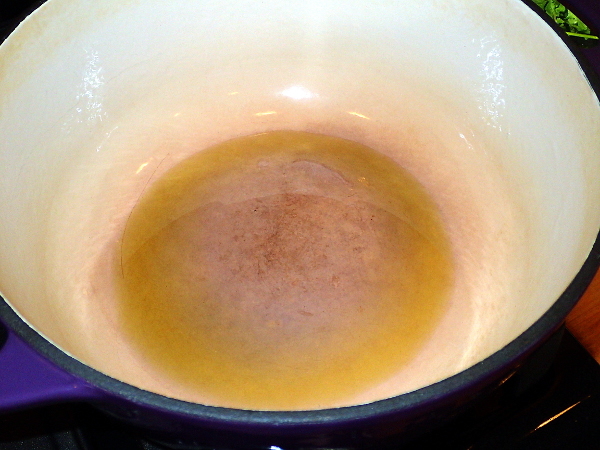 The problem being that the cheese collects at the bottom of the soup pot in a large lump. 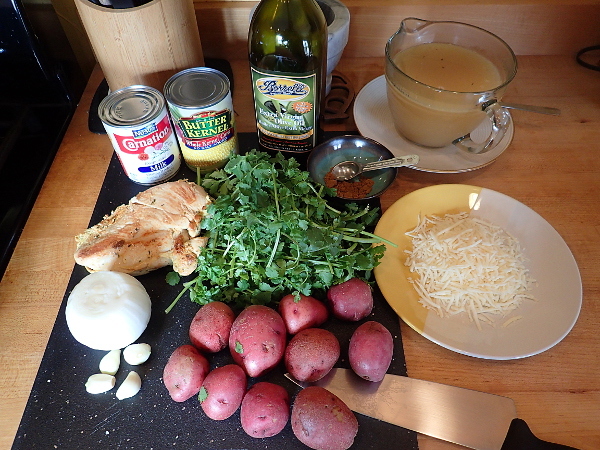 I decided to serve the cheese on the side, and have it available to top off the soup instead of melt in it. 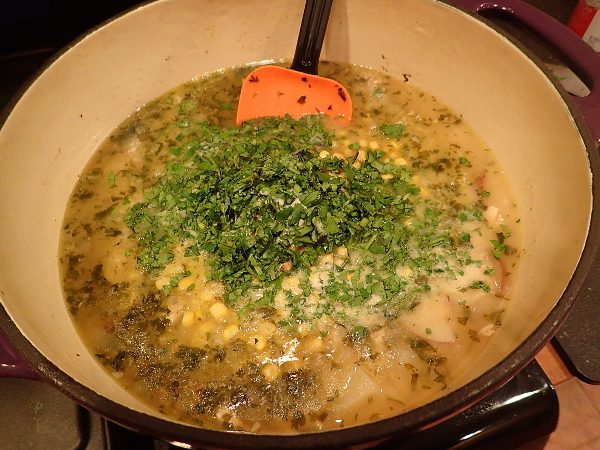 Even if that’s not entirely authentic, I can assure you that this is an extremely delicious soup and a great introduction to South American cooking. 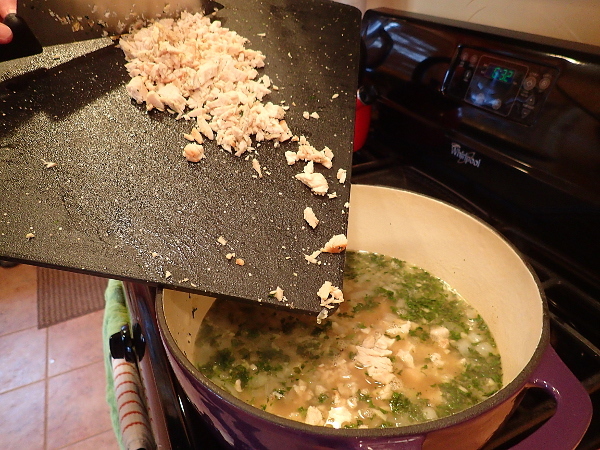 I had a fully-cooked chicken breast on hand and used it for this go-round. 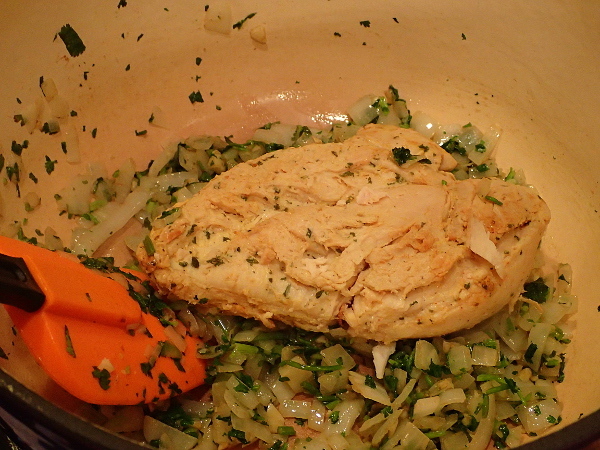 In case you're wondering why that chicken was already cooked!